This book is your complete guide to studying for the Linux Professional Institute's Server Professional (LPIC-1) certification. Every concept, principle, process, and resource that might make an appearance on the exam is fully represented. You will understand every concept by rolling up your sleeves, opening up a terminal, and trying it all yourself. You will find suggestions for practical tasks along with "test-yourself" quizzes at the end of each chapter. 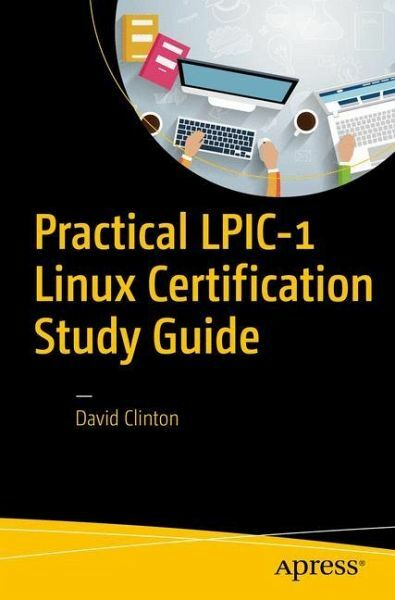 Whether you've decided to earn the Linux Professional Institute's Server Professional certification or you simply want to learn more about Linux administration, this book is a great choice. Right now, Linux administration skills are opening doors to some of the hottest job markets. And with the ongoing explosive growth of the cloud computing world - the vast majority of which is being built with Linux - the scope of the opportunities will only increase. Whether or not you end up taking the exam, if you manage to learn this material, you'll have done yourself a real favor. What You Will Learn Basic Linux system administration and package management Device and desktop management Bash scripting Networking fundamentals Security administration Who This Book Is For Most potential readers will already have a decent idea of what Linux is and what kinds of things can be done with it, and are looking to acquire or formalize a more structured and complete ability to confidently administrate Linux systems.